On 1 February 1989, -83.5°C was recorded in 27.8 hPa over Hohenpeißenberg, the lowest temperature in the 22-year series. This was measured together with a very low total ozone amount of 266 DU. This may be compared with nearly twice this amount on 27 February 1989. The situation was very unusual: following an extremely cold winter in the Arctic stratosphere, the stratospheric cold pole was located over southern Scandinavia on 1 February in a very southerly position. The analyzed temperatures of -92 °C in 30 hPa were also unusual. 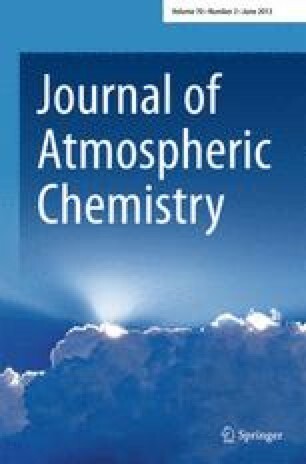 Even though the low ozone amounts over Hohenpeißenberg were probably dynamically caused, an additional very small ozone decrease due to heterogeneous reactions in altitudes from 23–28 km, where the temperatures lie below -80 °C, cannot be ruled out. Extinction measurements by the orbitting SAGE II instrument indeed show polar stratospheric clouds over Europe near 50° N during the period 31 January–2 February. Also, polar stratospheric clouds were previously observed over Kiruna at similarly low temperatures and signs of a corresponding small ozone decrease were noted there.